I am sure it was the popularity of Arthur Miller’s classic play and not the appearance of chisel-jawed Thorin Oakenshield in the cast that propelled this to the top of my most read articles of 2014. Anything that increases the popularity of The Tiger Lillies is fine by me. This production, orchestrating World War One poetry, was all the things that they do well. Bringing a new and revealing power to well known works by filtering it through their atmospheric baroque soundscapes. So it appears I am the only one who thought this play was entirely average and not nearly as interesting as it seemed to think it was. Other bloggers appeared to have loved it and it has got a West End transfer, so it shows how little I know about such things. 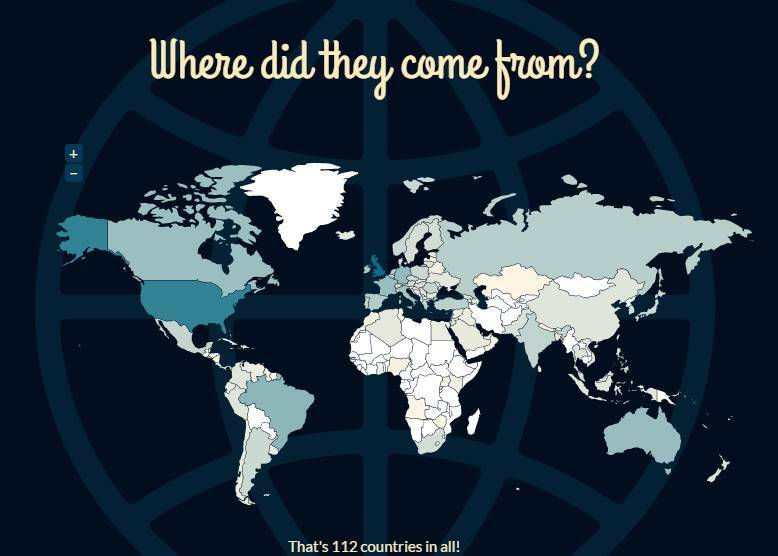 Civilian Theatre was visited by people from 112 countries in 2013. Up from 83 last year. This represents 58% of all countries recognised by the United Nations. However I hope the one person from Nepal will visit again next year. A lot to do in Africa with the majority of the continent not finding their way to the site. Better news in the Middle East where we even managed to get multiple views from Iraq and Syria. Clearly Civilian Theatre is part of the bumpy road to democracy.